Actor Ajith is currently busy with Nerkonda Paarvai, the official Tamil remake of Taapsee Pannu - Amitabh Bachchan starrer Pink. Nerkonda Paarvai is directed by H Vinoth of Sathuranga Vettai and Theeran Adhigaram Ondru fame and produced by Boney Kapoor under the banner Bayview Projects LLP. Following this, he will be working on a project tentatively titled Thala 60, which will also be produced by Boney Kapoor. There are still rumours going around on the internet that Ajith and Venkat Prabhu might collaborate again for Mankatha 2. Speaking to Behindwoods about these rumours, Venkat Prabhu said the project will happen only if Ajith agrees to it. "Ajith Sir approached me to make a film and that's how Mankatha happened. 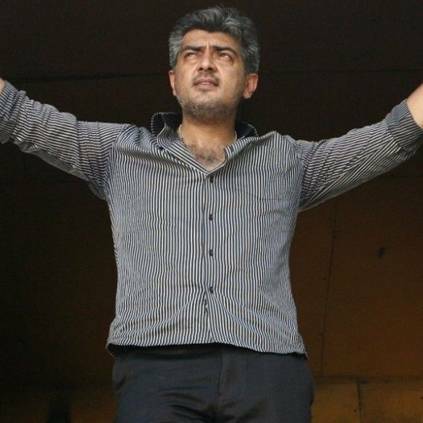 If the same happens again, Mankatha 2 will also take place." In addition, he also revealed that if Premgi is composing music for Mankatha 2, his title will be 'Isai-Soodhaadi'. "Premgi has been given titles like Isai-Tequila for Party. If it is for Maanadu, his title will be 'Isai-Arasiyalvadhi'. If Mankatha 2 happens, his name will be Isai Soodhaadi. Now, people will ask if he is the music director of Mankatha 2, so let me address that. Premgi is not the music director of Mankatha 2!" quipped Venkat Prabhu. People looking for online information on Ajith Kumar, Mankatha, Mankatha 2, Premgi Amaren, Venkat Prabhu will find this news story useful.